This is the 2nd part of the summer care series. Read the previous article about summer skin care here. Let’s talk about hair……hair in summer. I don’t know about yours, but my hair feels like straw in summer. The scalp becomes greasy if I do not wash it every other day, and the hair turns into a lifeless ball of frizz when I wash it every other day! For those who do not know it already, my hair is curly, dry and prone to frizz. It’s not chemically treated or saloon highlighted. To manage the unwanted hair-situation, I take few steps to ensure extra care for my locks. Let me share the tips with all of you as well! We all love picture perfect sleek straight hair or bed-head curls (coming from straightener or curler). But heat tools make the hair more damaged in the months of summer and it’s also very difficult to retain the style. The perfect blow-out or straightened hair you are rocking in the morning will turn into a hair-disaster as the day grows due to humidity and sweating. That is why embrace your natural texture in summer. Use a leave-in conditioner, then apply a heat protectant before you use any heat-styling tools. Instead of using a lot of products, reduce it to a minimum. If your hair is fine and straight, then just add leave-in conditioner or hair serum on the ends of hair. If your hair is coarse and curly then do this little trick to manage the curls. After washing the hair, mix a little bit of conditioner with some hair cream/gel and add this mixture to the ends and middle part of your wet hair. The conditioner will retain the moisture and the gel will give a little bit of structure to your curls. OR, you can just add 2-3 drops of hair oil of your preference on the ends of your hair! Use a hair mask once weekly to replenish moisture and restore sun damages. If you do not want to go for a store-bought hair mask, try my at-home banana hair mask. Apply coconut/almond oil in your hair, leave overnight and shampoo the next morning. Follow this trick before every wash.
Nowadays there are hair products with SPF in them. Try to use one of these products in summer. If not, then try to cover your hair with a trendy scarf or hat when you are out in the sun. Summer is a great time to try on the various hairstyles….specially if you love to experiment with different types of updos, ponytails and braids. 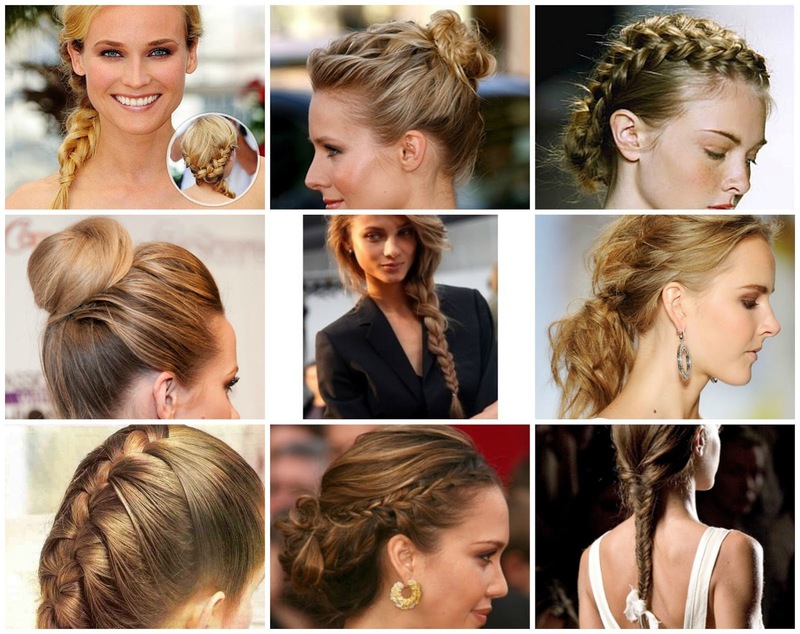 Check out other pretty hairstyles here. Hope you will find this article helpful. 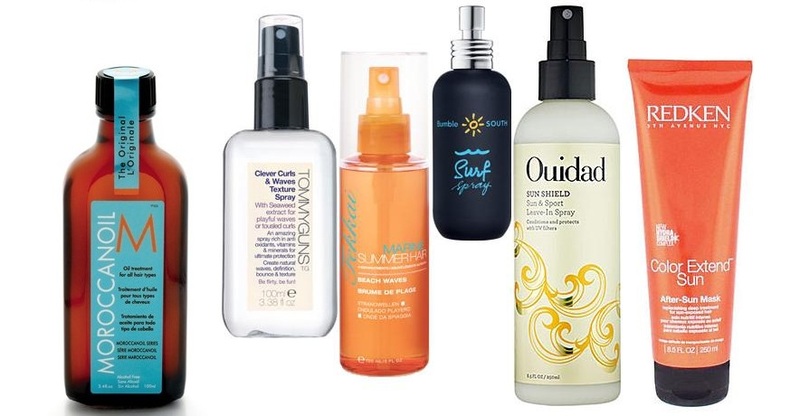 If you have any advice for summer hair-care, do share with us! Dessert for your hair or Banana Hair Mask!